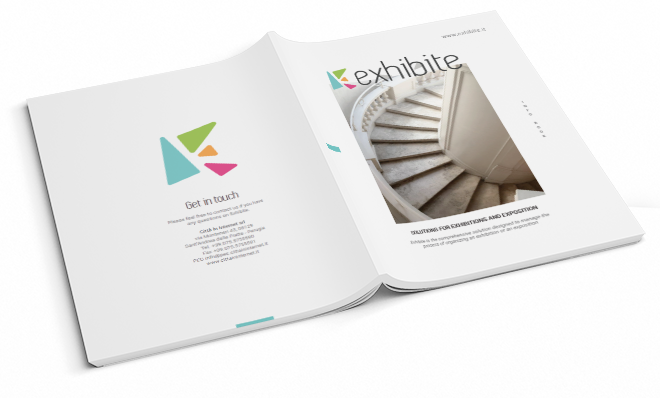 Exhibite is the comprehensive solution designed to manage the process of organizing an exhibition or an exposition. ORGANIZING AN EXHIBITION IS A PROCESS THAT REQUIRES YEARS OF WORKMANSHIP. Selecting the works to display, arranging transportation and insurance, dealing with the conservation are all activities to carry out by managing the costs within budget and constantly interacting with all actors involved in the project within the constraints set by each Lender and by the scientific project. 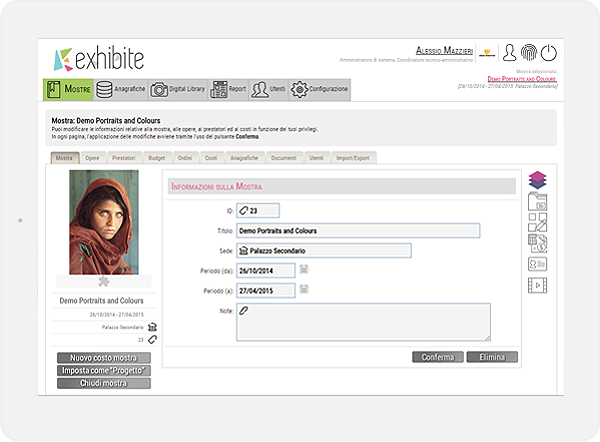 Exhibite is the complete suite to manage all aspects of this process. 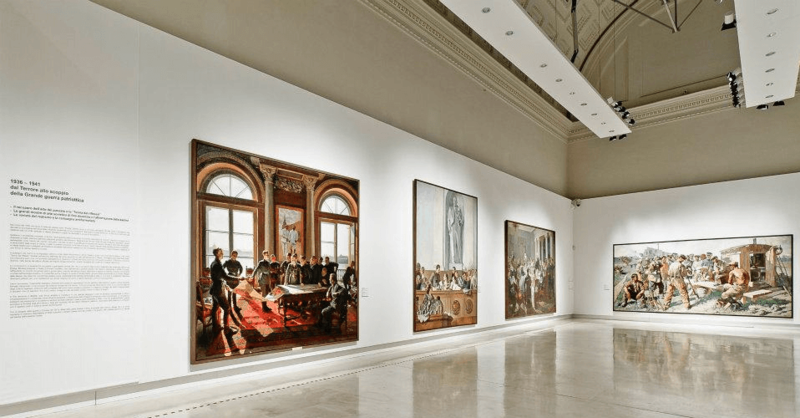 Exhibite is for all museum and exhibitions center operators, both temporary or permanent exhibitions. 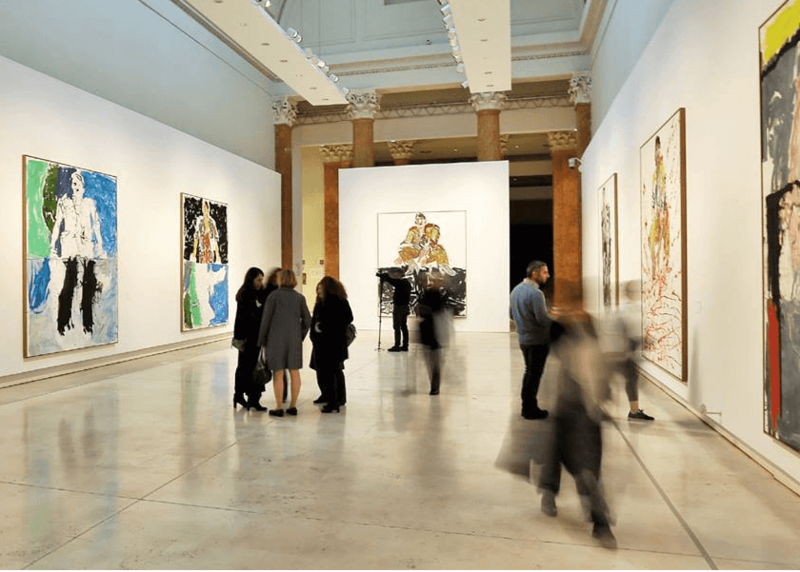 Loan status, transport and insurance organization, cost control, conservation of the artworks, image utilization rights are some of the variables that Exhibite will help you manage during your work. Exhibite modules are designed to manage every step of the workflow and all the technical aspects. Insert and register in detail all the works that are to be shown. Organize and manage all transport and insurance files regarding the works. Monitor the status of any restoration. Monitor the status of the loan of any work that has been requested to external lenders. Define for each work its placement within the premises where the exhibition will take place. 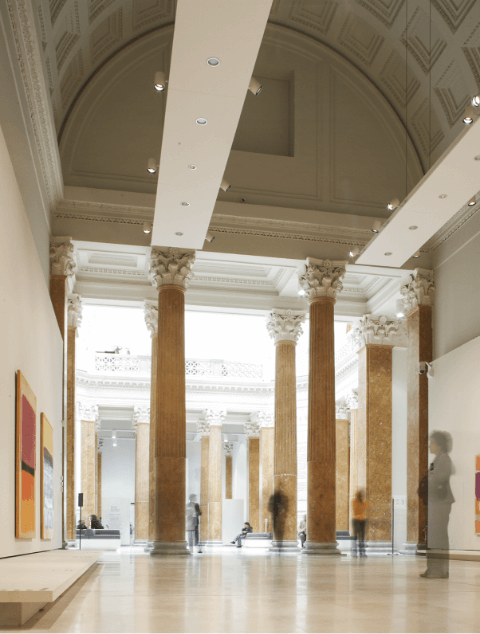 Define the parameters to be monitored for the perfect conservation throughout the exhibition. Files dedicated to the management of Media allow to catalogue image files for each work in high, medium and low resolution as well as audio and video files and to define all the associated rights of reproduction. Exhibite allows all this and more providing users with the certainty of working on a database updated in real time thanks to the technologies used for development. It’s an essential tool to complete the exhibition project. It contains a pattern of costs and revenues fully customizable according to user needs. It easily and quickly displays budget estimate, final balance and variances. It allows to simulate the performance of sales and profits of an exhibition. It is the central element of Exhibite. Shows contact information on close-up, those regarding the Lender and the status of the loan request. It’s correlated to all the Exhibite sections such as: Insurance, Transport, Conservation, Restoration, Multimedia Elements. 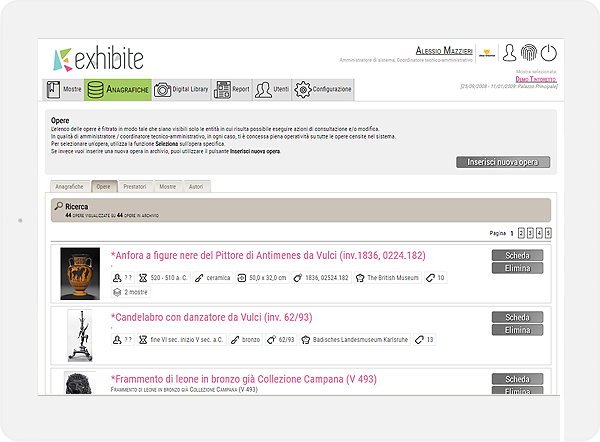 Every aspect of the process can be accounted using the Report section of Exhibite. Reports, customizable according to user models, are built to allow for an ongoing and accurate monitoring of every activity of the workflow. Thankyou for Subscription. Check your email for confirmation. You’ll get occasional content from Exhibite matters.